Scientists have found a potential treatment for peanut allergies, which may give hope to fathers who have found their parenting skills challenged by their children’s intolerance to the nut. Researchers from Duke University Medical Center and Arkansas Children’s Hospital suggest some kids may be able to slowly build their tolerance by eating small amounts of peanuts on a daily basis. However, they caution parents against trying this technique until further research confirms the findings – plus, they say there is no way for the average dad to be able to cut a peanut small enough to provide the early recommended dosage. "We have to wait for the studies to show the treatment is safe, and to see desensitization start to work," said co-author of the study Dr Wesley Burks. Children taking part in the study were given progressively larger doses of peanut protein, until they were consuming the equivalent of 15 peanuts per day. Another group was given a placebo. A total of nine out of 33 kids were able to continue treatment for two years without adverse effects and four seem to have lost their allergies altogether, the researchers said. 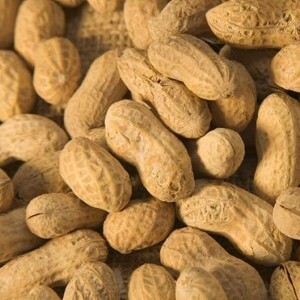 Peanuts are one of the most common allergies in the U.S., according to the American Academy of Asthma and Immunology.